Hello guys! The much anticipated christmas and boxing day are now over. I’ve read a lot of blogs about how you spent your Christmas and boxing day. Well, I spent all day in the kitchen. I cooked for about 40 people and was dead tired at bedtime. I was able to breeze in and out of here to read your blogs and it made me feel better about my inability to snap into the christmas spirit. 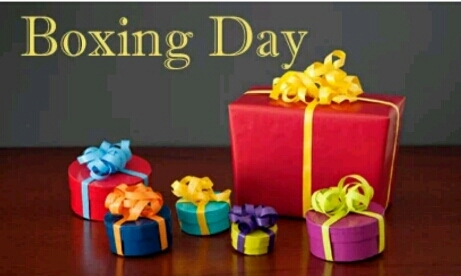 One thing I’ve always wondered is why 26th december is called boxing day. They are many theories. 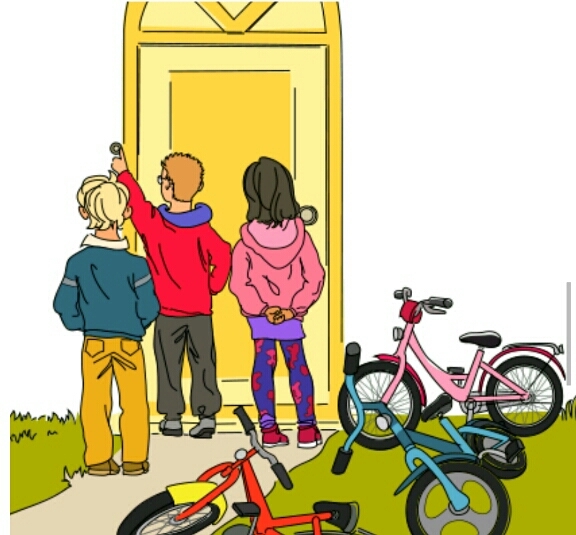 My mum told us it is a day to wear new clothes and visit friends. Other theories opine that it’s all about opening gifts, giving gifts, boxing each other etc. Obinna of shards of bards has a more detailed information on his blog. I’ll like to know what you think boxing day is about in the comment section. I spent boxing day indoors; reading blogs, serving guests and making up flimsy reasons why I couldnt visit my aunty and cousins for the umpteenth time after promising to do so. My folks went out frolicking and came back with their amusings stories while I listened like an alien sulking and questioning my inability to be gaiety like normal people. In other news, the intensity of harmattan has increased, I’m keeping up with my piggy bank struggles and it’s been pretty easy because I’m home and living off my parents😋 (no, I am not ashamed of myself😎). Thank you for taking out time to read my blog when you could be busy with more important stuff like, you know, not reading my blog. It’s nice to hear others talking about Boxing Day because I have never of it until this year, but it is so hard to get more than a quick joke (that I don’t tend to understand). I am guessing it must like everyone having a different opinion on Christmas. Waoh! I honestly thought everyone in the world knows about boxing day. Thanks for sharing it. <3 I love learning what others around the world do. Congrats on reaching this achievement! I guess it’s different for everyone, everywhere. I think starting my own boxing day tradition will be cool. Congratulations too! We have to celebrate our little beginnings. Congratulations! Keep doing what you do best. As a US citizen, we don’t celebrate Boxing Day but that doesn’t prevent me from knowing about it… We had a Boxing Day party since work schedules (5 generations of nurses) prevented everyone being in the same place at the same time. As I understand it is a holiday designed for employers to give boxed gifts to their employees (originally the house servants in the big manor). I had no idea US citizens don’t celebrate boxing day untill this morning when I read comments from gailovesgod. 5 generations of nurses!😂. My mum is a nurse and is still having a hard time accepting the fact that none of her kids is studying nursing. She is currently looking for any extended family member interested in studying nursing to sponsor. congrats dear, boxing day is overrated. I feel it a day to beat people. Congratulations for the 300 followers. Wait please, how do you count that? I just remembered it’s on the same page with your stats. The easiest way from here is to click on your blog name just above your comment. Type your blog name on the search bar (top right)on your reader all your blog posts will appear click on your blog name on any post (not the post itself)and it should take you where you can see it. 😂😂😂 at confused me. I think I understand. I just checked and I have 189 wordpress readers. And here I was thinking boxing day meant the celebration of wrestling. Maybe remembering when it started. I remember when choosing a name for this blog was an ish. But nw see hw awesome u are at it. Like u were born with a pen in ur hands. U make me realize never to be afraid to lunch into the deep. All u need to do is take a step. Thanks for always be rooting for me. Congratulations on both having fed forty people and for having reached 300 followers! Lol..maybe we should start our own traditions😄. We don’t celebrate Boxing Day here in the USA but as I understand it it started as a day for employers to give their workers gifts (in a box). Could be wrong though. This boxing day theory of employers giving gifts to their workers seems to be the most popular one yet.